Having a car is one thing but owning a luxury ride is a whole new experience. These high-end rides come with the self-drive options for the hands-on folks and the executive options that need a chauffeur. Either way, these cars offer VIP comfort, safety, and convenience. So here are the top four picks of 2018 in no particular order. This Italian brand has a spot in many auto lovers hearts. From the sleek design to exceptional performance, this car is the ultimate rich man’s toy. 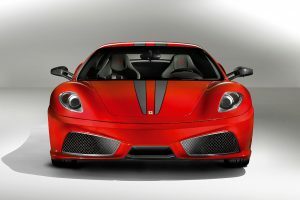 The Ferrari 488 GTB, for example, has a V8 engine that boasts of 661 horsepower. That is pretty strong for a small car like that, so you can only imagine what this baby can do on a highway. This German automaker has still got it. Since 1916, they have consistently made luxury rides for the world. And every single one of them has a story to tell; there even reports that they have “souls” within them. But the bottom line remains that their rides are very popular among the upper-middle class. Mercedes has created a huge fan base over the years. And their target clients seem to be the middle-aged crowd. However, they’ve thrown an interesting mix of luxury cars to their line up – making it the car brand that seems to have it all, from reliability to looks and everything in between. They’ve truly mastered the art of making luxury cars. Have you noticed the trend with footballers? They always have an Audi somewhere in their garage. That sends a strong statement about what to expect from this rides. Besides comfort, they are fun to drive, and the cars seem to handle themselves pretty well on the road. Just like most luxury brands, they’ve made some of the features optional, in a bid to attract a broader market share.